The Federation of Tunisians for a Citizenship of the Two Shores (F.T.C.R.) regroups associations of different activities. They have in common a double geographical reference. The first reference is the French society, the country of permanent residence of the majority of us. The stronger the attachment to the memory of countries of origin, culture and language, gives our group a double character. 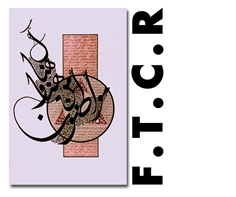 The F.T.C.R has been officially established since February 1982, in accordance with the provisions of the Act of 1 July 1901. The Headquarters of the F.T.C.R. Is set in the Ile-de-France region. The Board of Directors may, by simple decision, transfer it to the same region. The duration of the F.T.C.R. is unlimited. Representing member associations to governments and other national and international interlocutors. To work for the respect of Human Rights and the Citizen, especially in France and Tunisia.